The home which is open is not for sale. The home at 7102 Wilton Chase St. Dublin, Ohio 43017 is a custom built home by New England Homes Ohio. 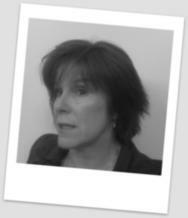 Your open house host is Maureen McCabe of the HER Realtors Builder Developer Services division. Thanks to the family building the Tartan Ridge home for allowing others to see the new custom built home they will inhabit shortly. Open Sunday, November 25, 2012 2:00 to 4:00 - NEW Home Tartan Ridge! New England Homes Ohio builds throughout central Ohio on your lot. Tartan Ridge was the site of the 2009 BIA Parade of Homes. New England Homes 2009, Parade of Homes entry won numerous awards including the People's Choice Award. New England Homes Ohio is based in Lewis Center, Ohio and builds throughout central Ohio. The sales office at New England Homes office located at 5191 Columbus Pike, Lewis Center, Ohio 43035 is closed Thanksgiving Day through the weekend, November 22 to 25, 2012. The New England Homes Sales Center (office) is typically open daily from noon to 4:00. The office manned by HER Realtors Builder Developer Service will be open Monday, November 26, 2012. The image at the top is owned by Doug Annette of New England Homes and used with permission here and on sDelawareCoHomes.com a site about Delaware County, Ohio real estate.